The story of JCVD’s rumored involvement in Arnold’s original Predator (1987). Think of Jean-Claude Van Damme and movies like Timecop, Kickboxer, Universal Soldier and Bloodsport immediately spring to mind. Predator doesn’t even enter the conversation. Mainly because it’s not a Van Damme movie. Or, at least, it didn’t end up being one. Yet the fact of the matter is that, for a time at least, Van Damme was set to star alongside Arnold Schwarzenegger in John McTiernan’s sci-fi horror story about a crack team of commandos facing an unseen alien force in the South American jungle. Then it all went wrong. Very wrong. In order to fully understand why Van Damme came and went from the project it’s important to appreciate that Predator was a forever-evolving entity. Originally titled Hunter, brothers Jim and John Thomas penned the original screenplay after hearing jokes about a potential fifth Rocky Balboa movie pitting the Italian Stallion against an extraterrestrial being. 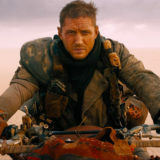 Picking up on the idea of a musclebound hero going toe-to-toe with an alien fighter, the result was a pulpy science fiction tale that was eventually picked up by Joel Silver over at 20th Century Fox in 1985. Quickly seeing the script’s potential as a big budget action effort, Silver switched things up, casting Schwarzenegger in the starring role, while the name was changed to Predator. 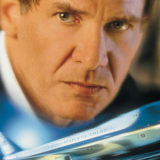 His version of movie required a special kind of actor to play the film’s alien foe though. Someone with the necessary acrobatic athleticism and physicality the script called for. Fortunately, he had already met someone exactly like that. Van Damme was a jobbing actor around the time he met Silver. 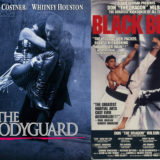 Already highly skilled in karate, kickboxing and ballet, the Muscles from Brussels had arrived in Hollywood in 1982 with ambitions of making it big. It hadn’t quite happened yet though, with Van Damme restricted to small roles, stunt works and menial jobs in between. Van Damme hadn’t lost sight of his dream though and was still willing to do anything to ensure the important people took notice – especially high kicks. It may have been a little on the nose, but when it came time to cast Predator’s stealthy, ninja-like alien, Silver immediately thought of the Belgian. 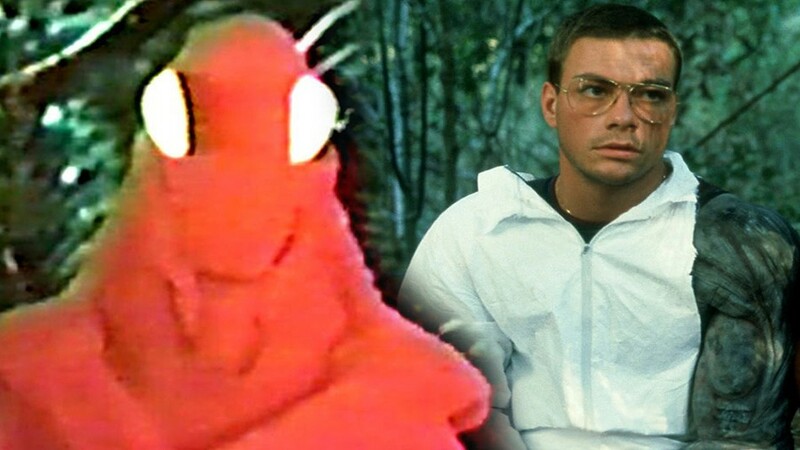 Van Damme took the role with relish, viewing it as the perfect chance to showcase his talents, with the script calling for an agile alien capable of jumping and kicking his way out of trouble. 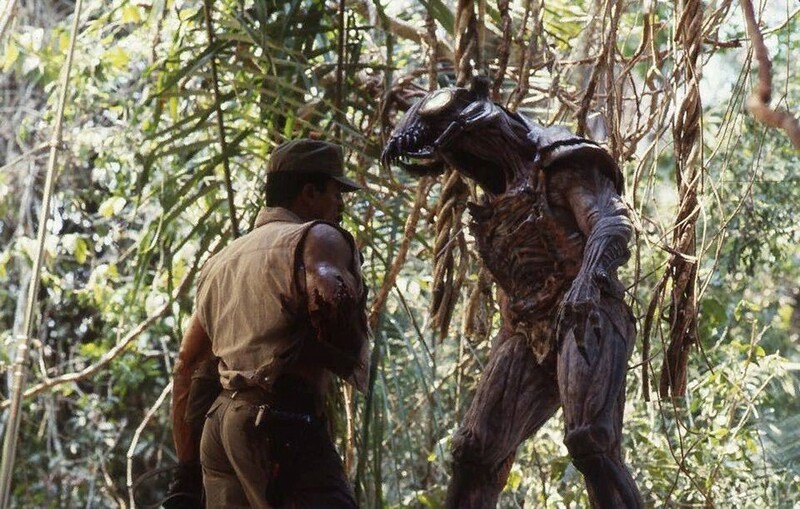 Speaking in a 1989 interview with Starlog Magazine, he even outlined how the part had been sold to him: “They said I would be in a tight leotard with half-human, half-animal makeup on my face.” Like so much behind the scenes on Predator, however, the look and design of the film’s central alien adversary was subject to change. 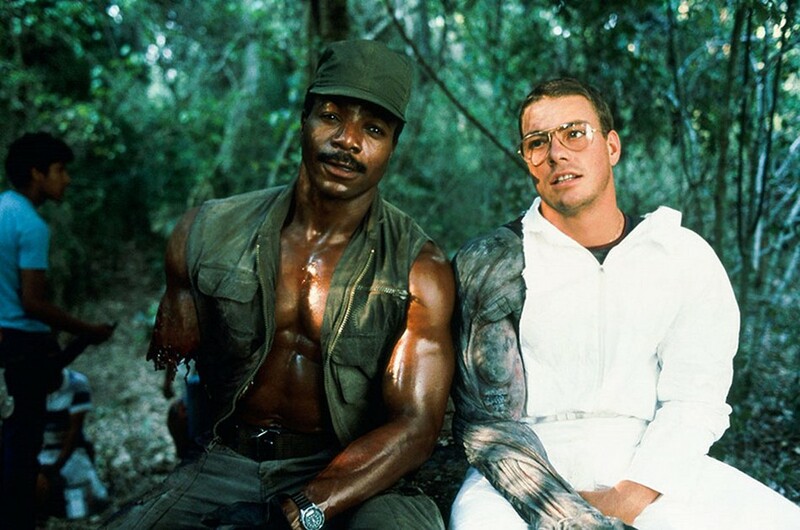 Check out some more ultimate coverage of Predator and JCVD here! When Johnson explained to Van Damme that he would be invisible for much of the movie, the Belgian’s mood worsened. Robbed of the chance to show his skills off in a combat scene against Schwarzenegger that could have been the launch pad to bigger and better things, the Belgian was far from happy. He wasn’t the only one though. Difficult filming conditions with cast and crew members suffering bouts of illness were further compounded when, try as they might, the suit just didn’t look right on camera. 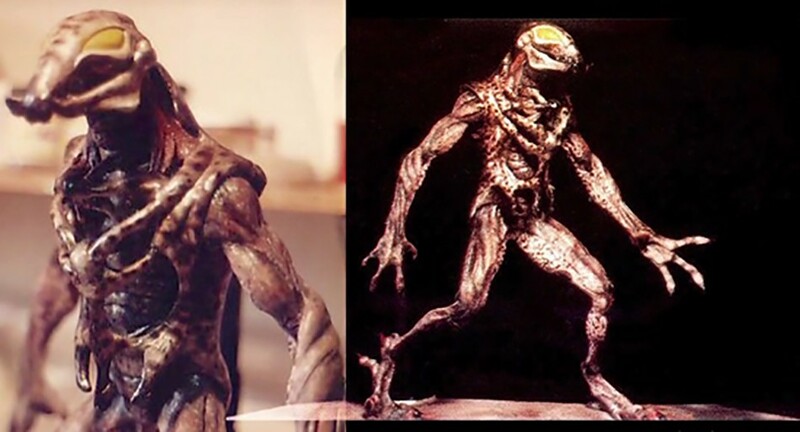 As Schwarzenegger put it in the Hollywood Reporter, the Predator “looked like guy in a lizard suit with the head of a duck” and he wasn’t wrong, with test shots from those early days on set backing up his claims. 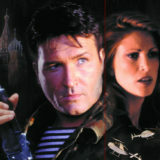 Van Damme, already unhappy with the reduced visibility of his role in the film, didn’t do much to appease the situation either, with Schwarzenegger branding him a “relentless complainer.” With production shut down while McTiernan, Silver and Co. sought a solution to their alien predicament, producer Lawrence Gordon successfully lobbied for more money from the studio. The extra funding allowed them to hire the much sought after practical special effects guru Stan Winston. 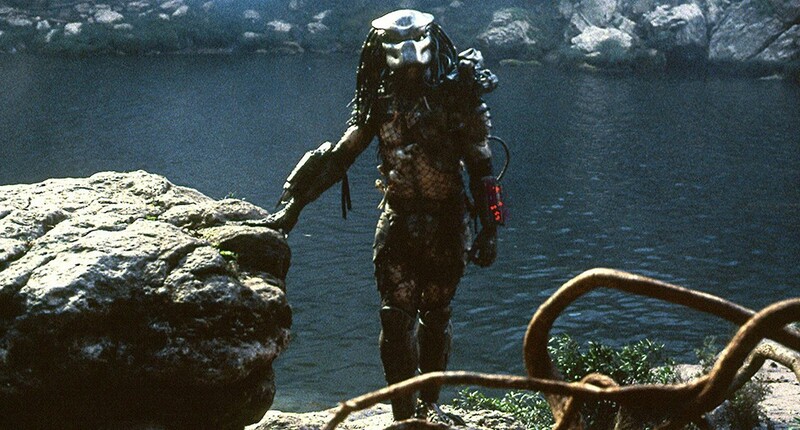 Out went the previous Predator suit in favour of a new design inspired by Winston’s friend James Cameron, who had sketched ideas for an alien with mandible jaws. What happened to Van Damme next is subject to debate. The Belgian, for his part, has always suggested he decided to leave the production over health concerns. “The costume took about 20 minutes to put on,” he once told Starlog. In any case, Van Damme was out with the 7ft 2in tall Kevin Peter Hall brought in for a new look Predator, who brought a more oppressive physical presence to the screen. The Belgian spent a total of just two days on the set. He bounced back soon enough though, eventually securing a life-changing meeting with Menahem Golan, the head honcho at low budget movie production powerhouse Cannon Films. Captivated by the same high-kick routine the Belgian had once snared Silver with, Golan either didn’t know about Van Damme’s difficulties on Predator or simply didn’t care. A year later, the Belgian hit the big time with Bloodsport and the whole experience as largely forgotten. Predator, meanwhile, debuted to rave reviews with the film’s alien design earning particular plaudits. Van Damme’s exit ending up being a blessing in disguise for everyone involved. In the cutthroat world of Hollywood, there ended up being a happy ending for everyone involved. How often can you say that? 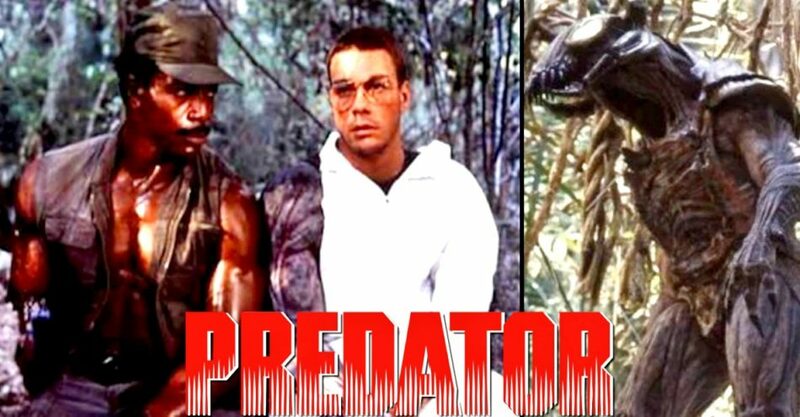 What are your thoughts on Van Damme’s short-lived involvement as the original Predator? Let us know in the comments or on our Facebook page!